Rexroth linear components and systems are precisely developed and produced, and provide the basis to manufacture best-in-class machines and automation systems. The high quality and long life of our Linear Motion Technology guarantees maximum system availability. With over 1000 standard components and products and Rexroth’s modular principle, Delta Hydraulics can always create an individual solution for you. As a leading user and supplier of Industry 4.0, we ensure that you are also ready for the future. We support our users reliably throughout the entire product life cycle, beginning with finding the right solution, to consulting and eTools, all the way to worldwide, on-site service. 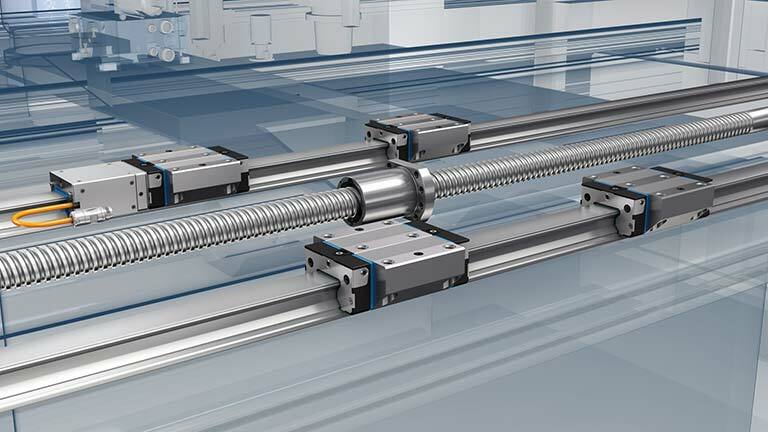 No matter if it’s Rexroth Ball Screw Assemblies, Profiled Rail Systems or linear guides, Linear Motion Technology offers a diverse range of solutions for your company. Get in touch with our contact partners for more information.